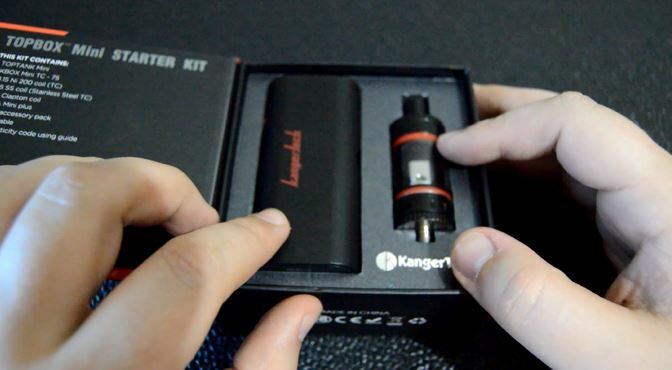 Note: The Kanger TopBox Mini Starter Kit was sent by VaporAuthority.com for reviewing purposes. If you’re looking for a setup that’s matched well, has stunning looks, and is themed perfectly in multiple color variations, the TopBox Mini Starter Kit is where you’ll want to turn your attention. This particular TopBox Mini that I have is the Black Edition, which consists of a black mod and tank, while there are red accent colors throughout to offer appeal. The Kbox Mini Mod is a black satin color, the buttons seem to be a red plastic, but it’s just the right touch to make this device worth something to look at. The top says Kbox Mini, then the opposite side is the 510 connector that has a spring-loaded center pin. 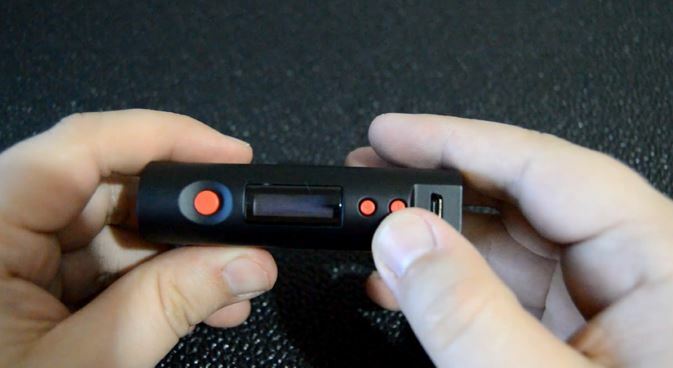 On one side of the device there is the red larger fire button, below that is the OLED screen, then just below sits the two red adjustment buttons and a micro-USB port. The back side has a magnetic battery door with a Kanger logo cut out for ventilation and to enhance the appearance. 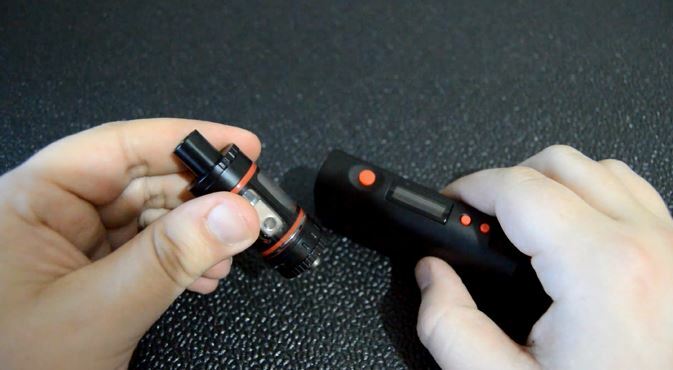 The TopTank Mini perfectly matches the Kbox Mini, having a black coating and the o-rings inside of the tank being red to match. This tank comes with a black matching delrin drip tip, a clear glass acting as the tank, while the bottom base has air inlets on each side acting as the adjustable airflow control. When it comes to features for this starter kit, you’re actually getting more than you pay for, really. Starter kits are so looked down upon, yet the one’s that are being manufactured today offer so much more than what they did even a year ago. The Kbox Mini delivers a whopping 75 watts of vaping power, it lets you fire down to 0.1Ω, supports NiChrome and Kanthal while in wattage mode, and then it also has a temperature control mode that supports Nickel 200, Stainless Steel and Titanium. Accessing the temperature control feature is super easy with this device – a simply 3 clicks and you’re in. While in the temperature control mode, you can range from 200 to 600 degrees, giving you a wide range in temperature. 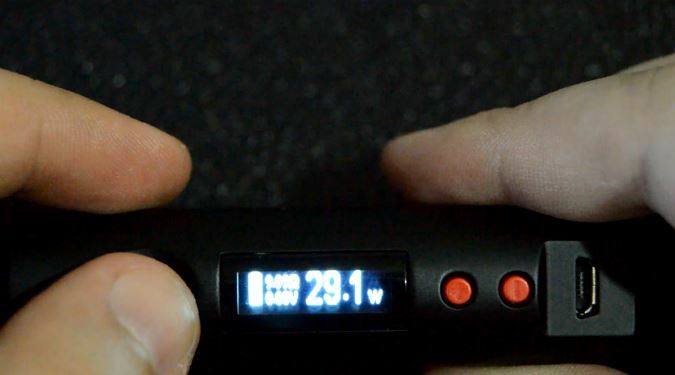 Furthermore, you’ll get to enjoy the easy access dual magnetized battery door, an OLED display screen, a three button design, micro-USB charging, and this is all powered by a single 18650 battery that is sold separately. As for the TopTank Mini, I’m absolutely in love. This tank works great for me, and I was even a huge fan of the SubTank Mini. This TopTank Mini is merely an improved upon version, offering a new top fill design, it still has dual adjustable airflow control, and you also get a 4mL e-liquid capacity, which is plenty enough with this supposed miniature design. Now, this tank comes with some nice coils that do perform well, but I’m stuck on Kanger older OCC 0.5Ω vertical coils that have yet to fail me since they were released. I’m a huge fan of this tank and I’ll recommend it to anyone. When it comes to the performance, I have nothing but great things to say. The Kbox Mini performs great, just as expected and there’s nothing I would change about it. However, I’m more impressed by the TopTank Mini, which performs outstanding! There’s just something about the airflow for me, it’s perfect, and I wouldn’t have it any other way. There are some of you vapers that look down upon the SubTank/TopTank Mini, but to be honest with you, it can put all some great vapor production that I’m sure would surprise you. Be sure to watch the video and see just how well this tank and mod combo can perform. I’ll make an accessories video Monday. I recently got this starter kit but I am a little confused on how to use the temperature control. Specifically, what temp should I have it on for the SS coils? Thanks in advance! The temperature depends on your preference honestly. Some people like it hot, while others prefer just a warm vape. 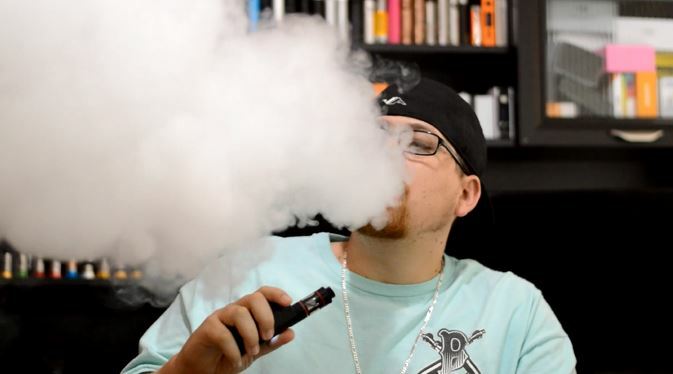 The temperature you set depends on how quickly you create vapor, and how much vapor as well. For example, 300 degrees won’t vaporize the liquid as fast as something hotter like 400 degrees. I would start at about 300 degrees and slowly work your way up to what you enjoy most. I personally prefer wattage mode over temperature control. The TC mode is great for people trying to avoid dry hits and increase their battery life. As long as you don’t go too high in temperature, you won’t have any issue of dry hits or that burnt taste – IF the temperature control feature is working as it should. 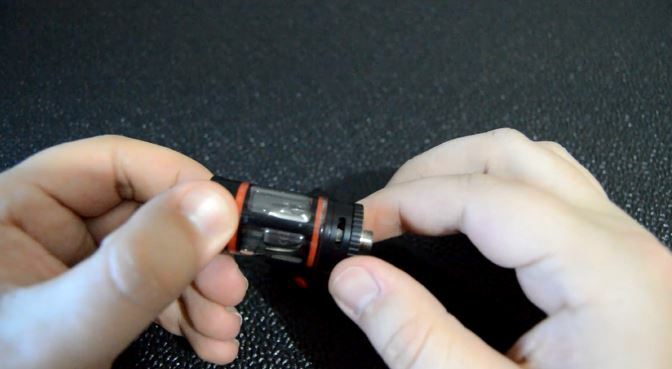 Either way, you can greatly increase the lifespan of your atomizer if you maintain it properly and use it properly. In fact, I can go up to a month on just about any coil that I use. What I’ve learned over the year’s about these coils is that you increase the lifespan of them by priming them correctly first, then make sure there is always a good amount of liquid available for your wicks, use the same flavor on a single coil, and lastly, do not turn the wattage up too high or at or above the optimum range provided by the manufacturer (typically printed on the coil).